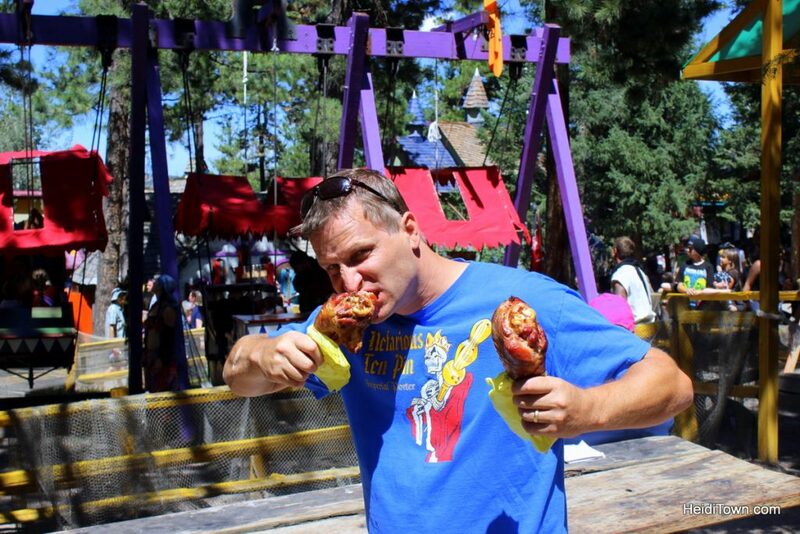 Haven’t made it to the Colorado Renaissance Festival this year? Well, what’s stopping you? It’s time to saddle up the pony and head out. While there, I highly recommend doing these nine and a half things. There’s something about gnawing on a turkey leg that’s highly satisfying. Vegetarians, you can gnaw on a roasted artichoke instead, although I guarantee that it’s not nearly as fun. The Colorado Renaissance Show curates their shows carefully and they are all very good. This year, The Washing Well Wenches have moved to the big stage, formerly the home of Puke & Snot. This is a longtime favorite of mine it’s nice to see these funny, irreverent ladies rewarded for their hard work. 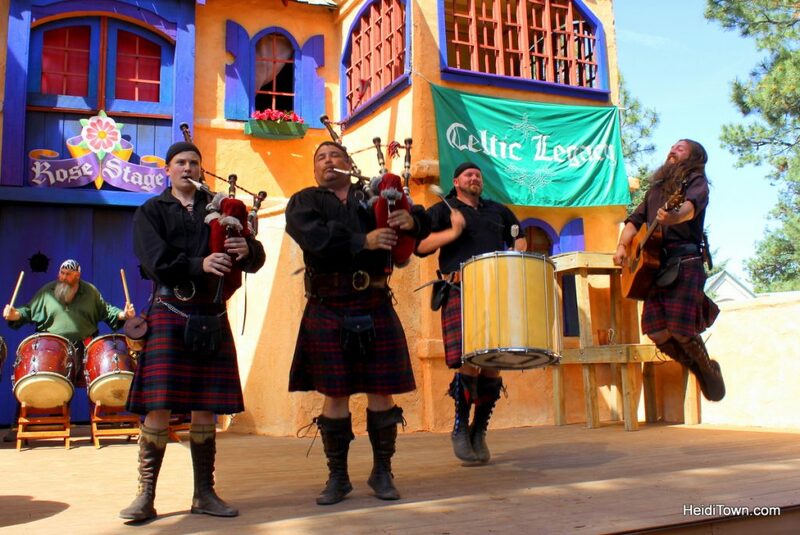 Don’t miss Celtic Legacy – it’s a stage full of men in kilts – need I say more? Also, be sure to catch Acrobatrix. In their second year at the Renaissance Festival, These two acrobats take entertaining to new heights – literally. This year, I saw lots of princesses of all sizes and shapes, big-breasted pirates, Zelda, a Centaur, the Big Bad Wolf, and many miniature fairies. 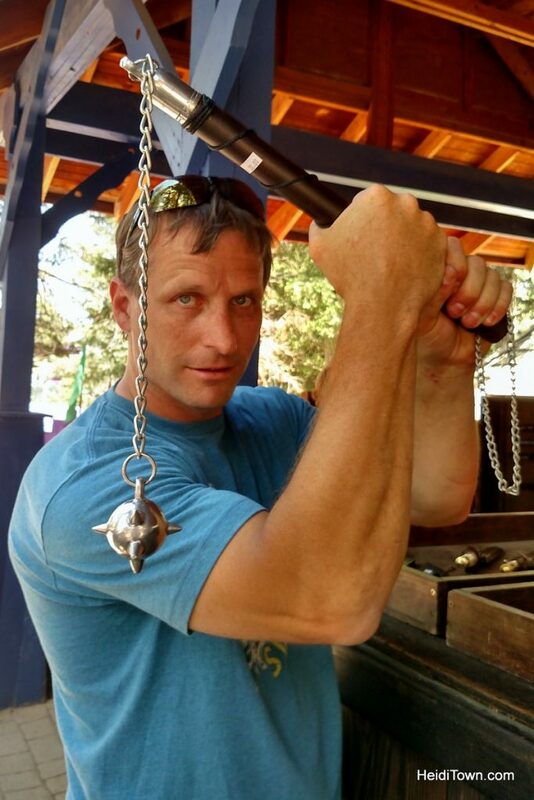 Who and what will you see at Colorado Renaissance Festival? 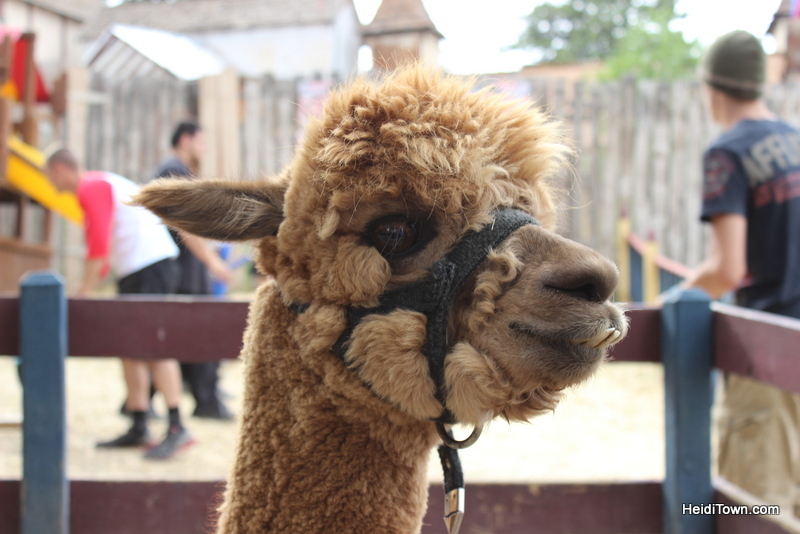 If you’ve been reading HeidiTown for awhile, you’ll know that I’m a big fan of barnyard animals, so the petting zoo at Colorado Renaissance Festival is always on my must-do list. It’s not just for kids – it’s also for gals named Heidi. Because hearing, “Huzzah to the Tipper” ringing out across the festival grounds gives me a warm fuzzy and it will give you one too. It’s fun to shop at Colorado Ren Fest because you’ll find things here that you won’t find anywhere else. This year, I purchased a sparkly ankle bracelet that chimes whimsically when I walk which makes me happy. This may be the one place left in the United States where you can freely wield a sword or other medieval weapon without being arrested. But please, be responsible and don’t ruin it for everyone by being a numbskull. If you are easily offended, this may not be the game for you. 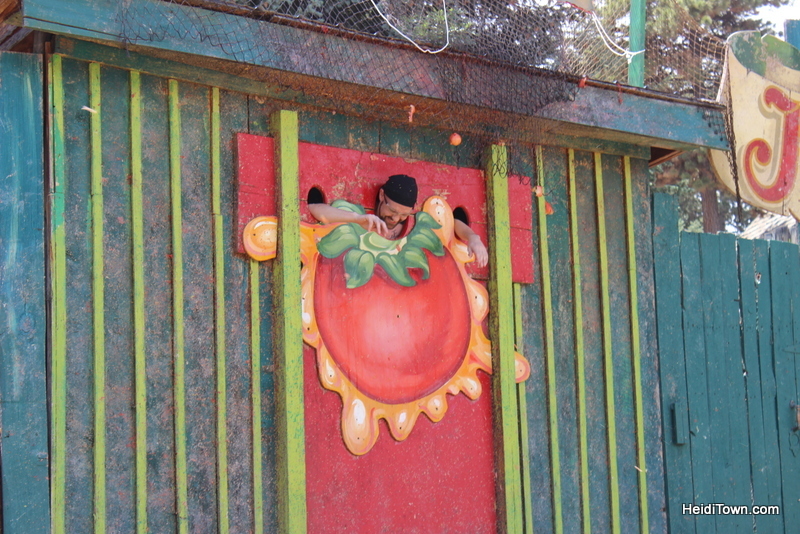 After all, political correctness has not penetrated the walls of Colorado Renaissance Festival and if you throw like a girl, the Tomato Justice guys will tell you so. But who cares? If you manage to hit one of those smug dudes, it will be well-worth the insults. 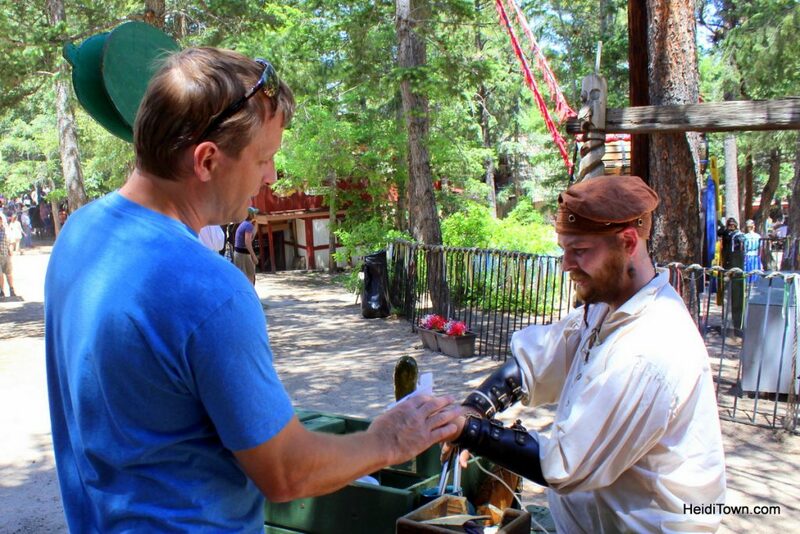 For many years now, Ryan and I have shared a cold, crisp pickle at Colorado Renaissance Festival. Why do we share? I guess half a pickle is better than no pickle at all. 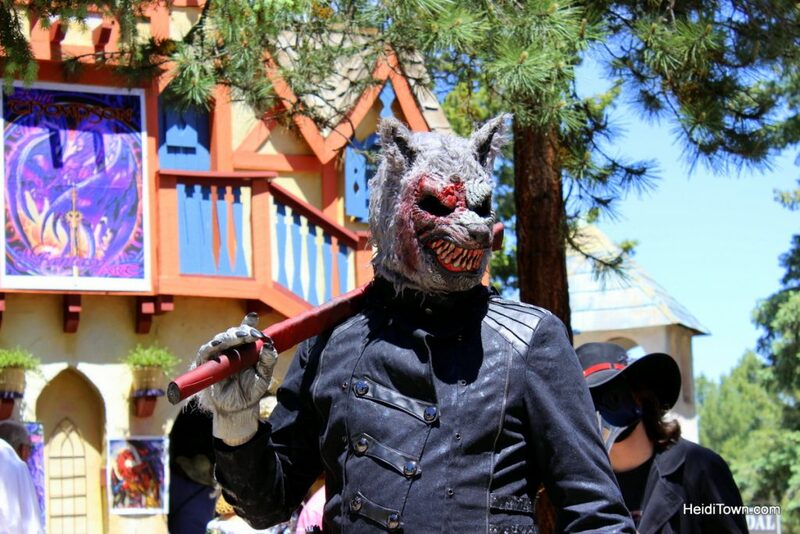 The 42nd Annual Colorado Renaissance Festival is held in Larkspur, Colorado and runs June 16 through August 5, 2018. Visit the fest online at ColoradoRenaissance.com. 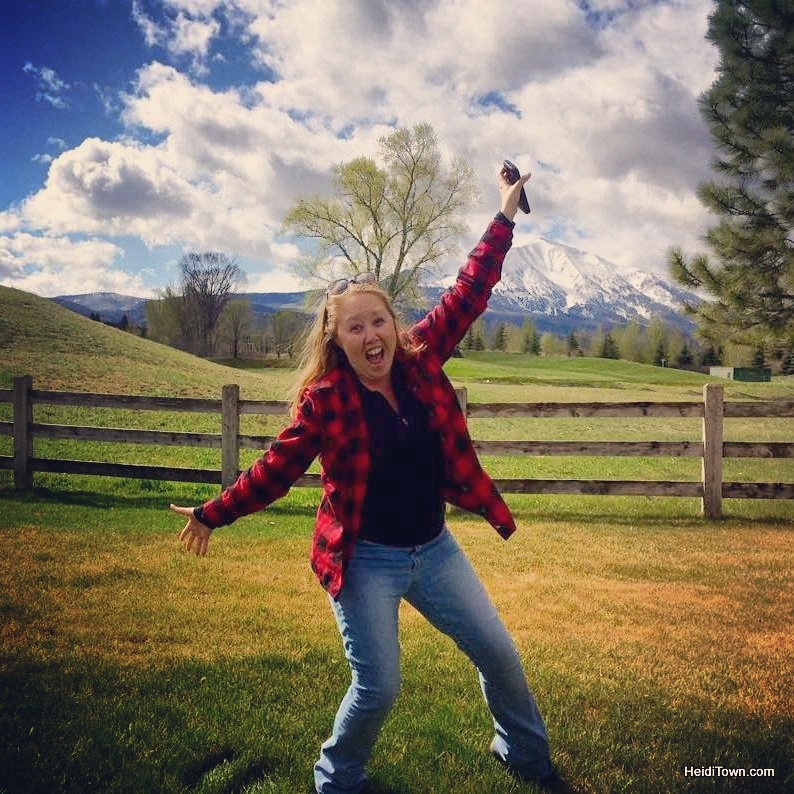 Steamboat Summer Boat List - Challenge Accepted! Yes! All of these things and more! I can’t wait to go! Thank you for stopping by HeidiTown. WooHoo! That time of year!